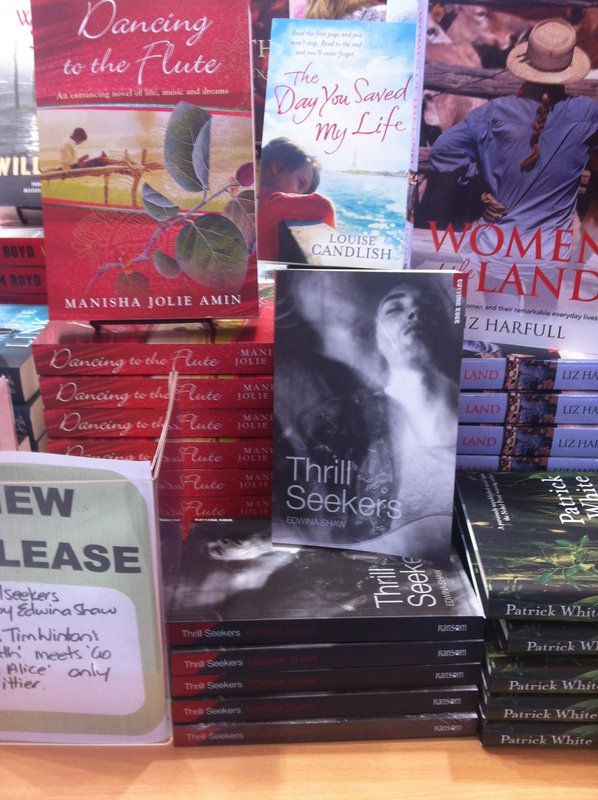 My friend just found Thrill Seekers on the new release table at Love That Book in Helensvale. Thank you to the lovely Benette.How exciting to see it there among the big names. It seems to be getting a life of its own. One of my favourite quotes at the moment is from author and blogger on writing, CJ Lyons who says, ” Once you get your books out there, they’re going to keep going and going and going as more readers find them.” Keep going Thrill Seekers!